The perfect gift set for the bottle-lover in your life. 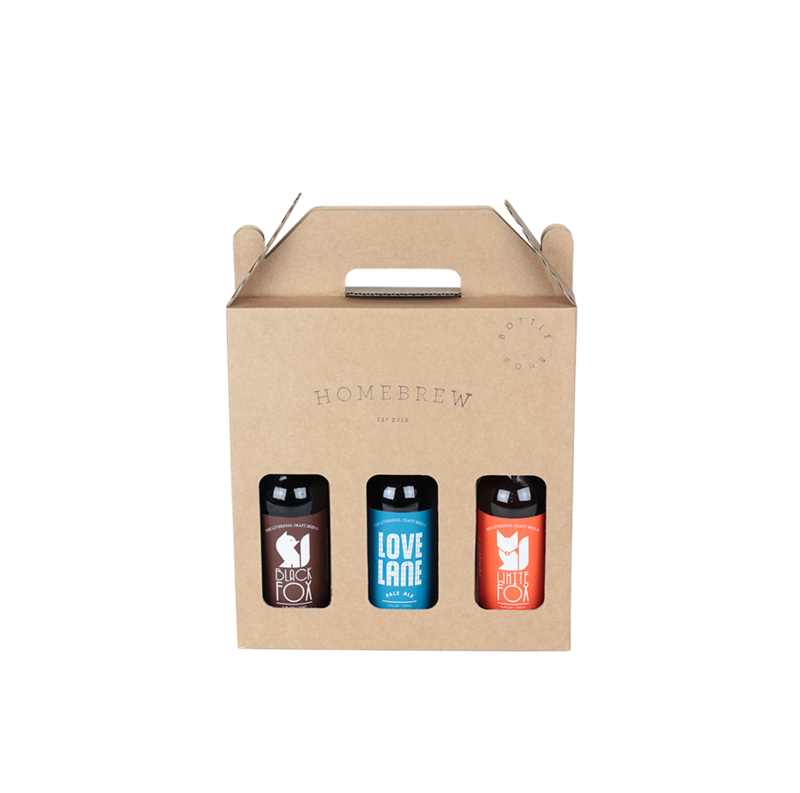 Mix and match by choosing three beers, glasses or ciders (each must be 375ml or less) from our collection and select this custom-made Homebrew gift box to present the bottles. Need tips choosing the right combination? Give us a call or drop us an email and we’ll be happy to assist. Cardboard Gift Box with handle and folded base to ensure strength.